As you may already know, marketplaces are shopping websites where online buyers choose among thousands of third-party e-tailers in a secure and optimized interface for business. eBay and Amazon are the most famous marketplaces of them all. Here are the 5 pillars of marketplaces that you should understand and remember at all time when selling through online marketplaces. Traffic is key for marketplaces, it determines their attractivness from an online merchant point-of-view. Marketplaces are able to generate millions of unique visitors each month because they aggregate products from thousands of sellers. As a counter-part, it becomes a very efficient tool for merchants to gain visibility and acquire targeted audience, with high buying intention. e.g. : Just a year ago, Amazon declared 19.5 million unique visitors in June 2012, 17.5 for eBay, 6.6 for Pixmania and more than 4.6 for Play. Payment is always a decisive moment when selling online. As a third party between the buyer and the seller, the marketplace provides a secure payment interface and deals with transactions and bank authentification. The marketplace will then hold the payment untill the product is shipped. Marketplaces are also able to provide a unified and smooth shopping experience to customers : they can add products from different sellers and pay for it on the platform as a single transaction. Each marketplace defines its own rules concerning the types of products that are allowed or not on its platform, the categories it should comply with, the visibility of each type of offer (on Amazon, products sold by Amazon and third-party sellers are displayed the same way on the product page) and pricing rules. e.g. : On Amazon, the “Price Parity” rule states that a seller sould not sell on Amazon at a higher price than he does on other marketplaces. 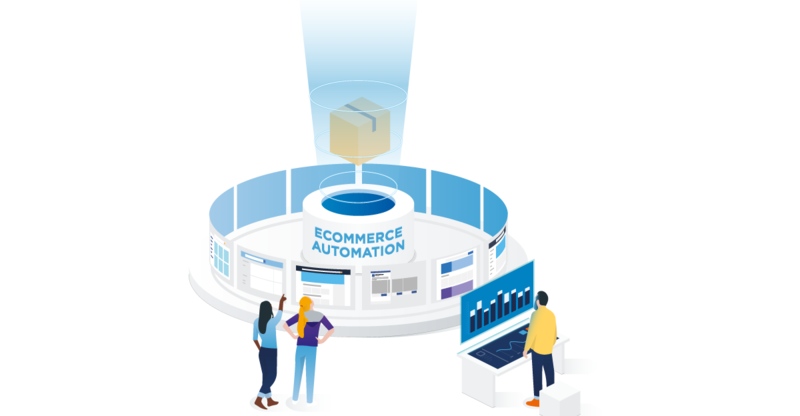 Marketplaces provides e-tailers with communication tools in order to help them drive online visitors through the purchase funnel, before and after the act of purchase. e.g. : On PriceMinister (Rakuten Group), sellers can design their own marketing strategy : they can create online advertising campaigns, promotional or ‘free-shipping’ operations and even buy specific keywords for better internal SEO. Ecommerce is very young yet highly regulated already. Marketplaces do not have the same demands on the legal level. Sometimes it can be easier to sell through a marketplace than on its own website because of these rules. On the other side, many labels exist so that vendors are able to show all the necessary guarantees for buyers to feel safe and secure. e.g. : In order to sell in some countries, you will need to get a specific VAT number and a postal address in the country. When selling through marketplaces in the same country, you can avoid time-consuming steps and sell everywhere in a matter of minutes.